﻿ Seat Airbag - ShearComfort Seat Covers Ltd. Many new vehicles (after 1999) have the option of having side impact air bags in the driver and passenger front seats. This is an option that may be on your vehicle even though you never specifically ordered this. This is a safety device on the vehicle. Any seat covers that are used on seats with side airbags must be altered to allow for airbag deployment. 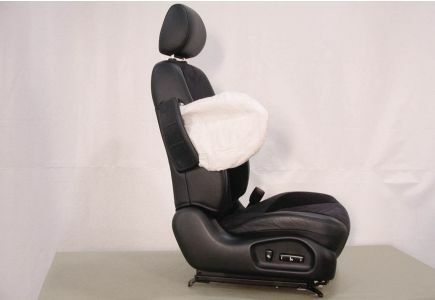 All of our custom seat covers can be made to be seat airbag friendly. 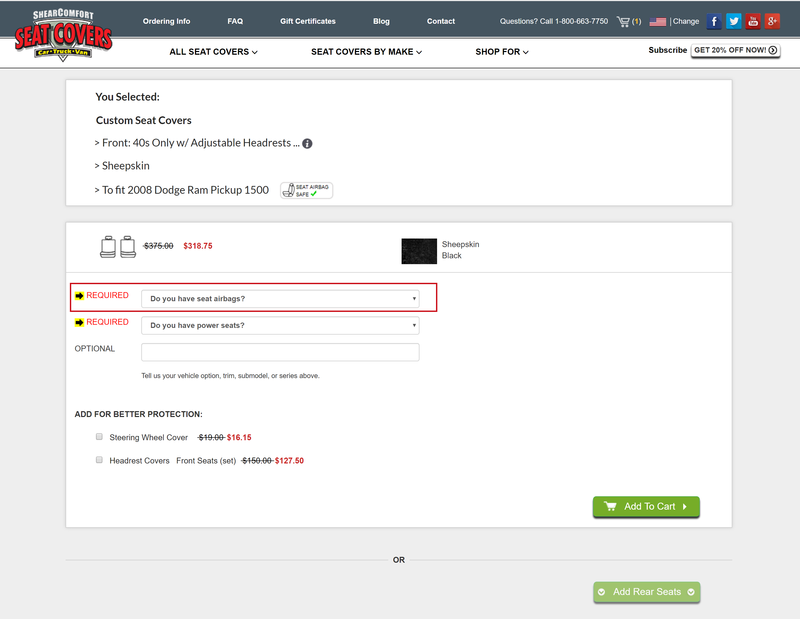 If your vehicle comes with standard side airbags in your seats, you will see a "Seat Airbag Compatible" bullet point after you select your seat type and your seat covers will automatically be made to include side airbag stitching (See screenshot below). However, if seat airbags do not come standard in your vehicle, simply choose Yes when asked the question: "Do you have Side Airbags in seat?" (See screenshot below). 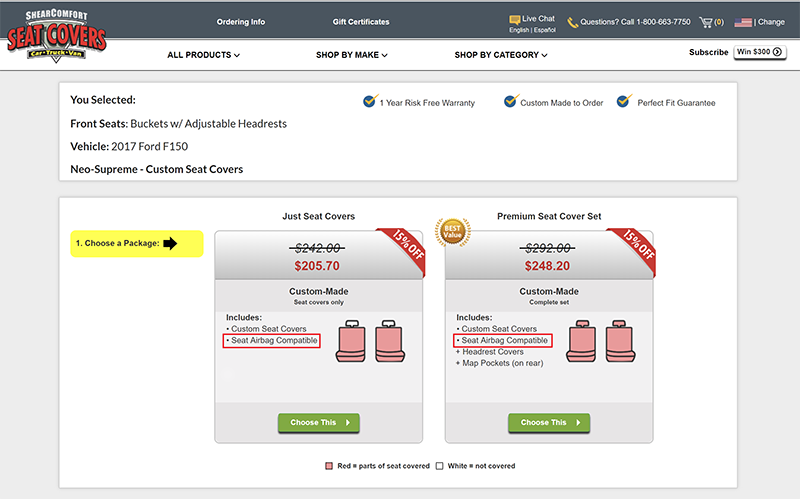 You will be informed if an additional charge is required in order to make the alteration on Standard Custom Seats. How do I know if I have Airbags in Seat? Most seats with Airbags are marked with a small tag that will say "Airbag" or "SIAB". This can also be embossed on the side panel of the backrest or with a warning sticker on the inside of the door frame. If you are not sure about Airbags in your seats this must be checked before you order seat covers. If you are still not sure, feel free to call our customer service at 1-800-663-7750 with your vehicle information and we'll help you determine if your vehicle has seat airbags. 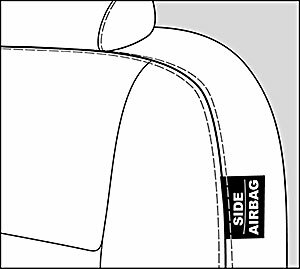 The image below is an example of a seat airbag.